In 2017 our team engaged in a project with Moore Wilson's, a specialist supermarket chain located in Wellington, New Zealand. 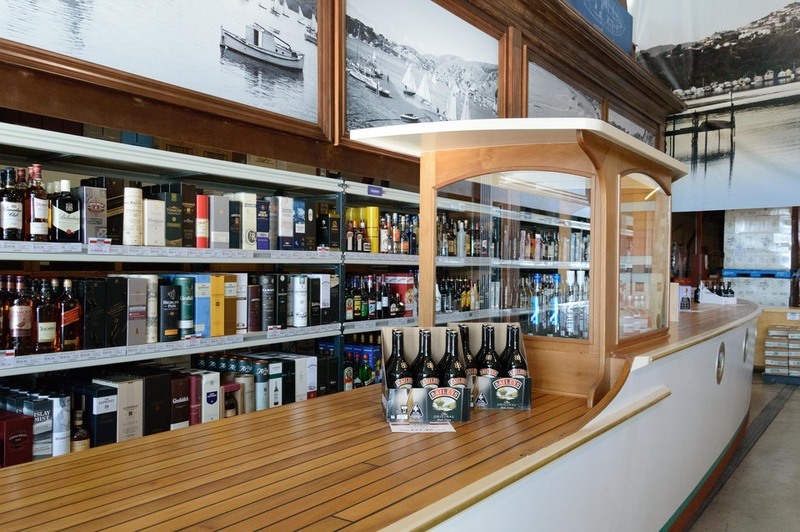 The brief sought to enliven the wine, beer, and spirits store located in nearby Porirua city with a nautical twist. 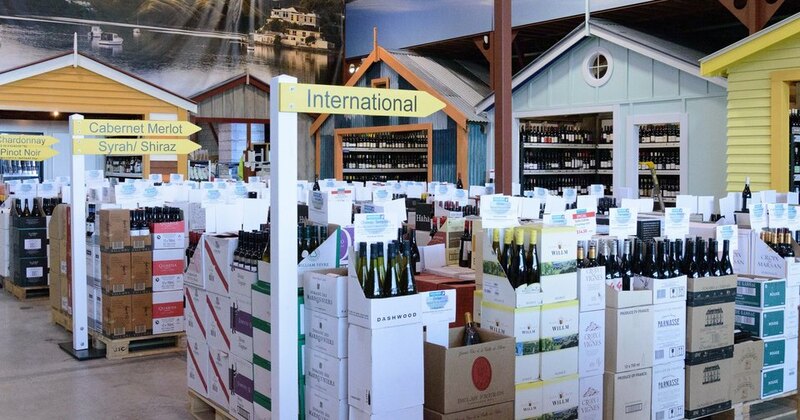 Extensive research on marine imagery and dockside architectural motifs resulted in a spatial design solution that features custom built boat sheds, wall facades, wayfinding signage, furniture, and a point-of-sale counter styled as a vintage wooden launch. 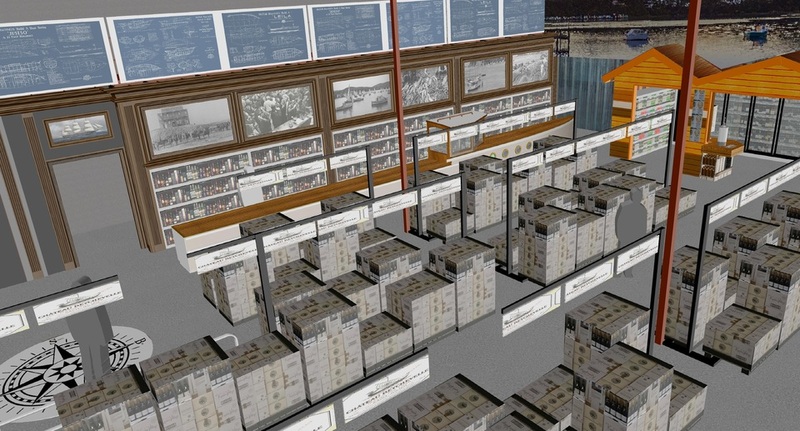 Computer aided design was integral in planning the layout, construction and colour scheming of all aspects the project. 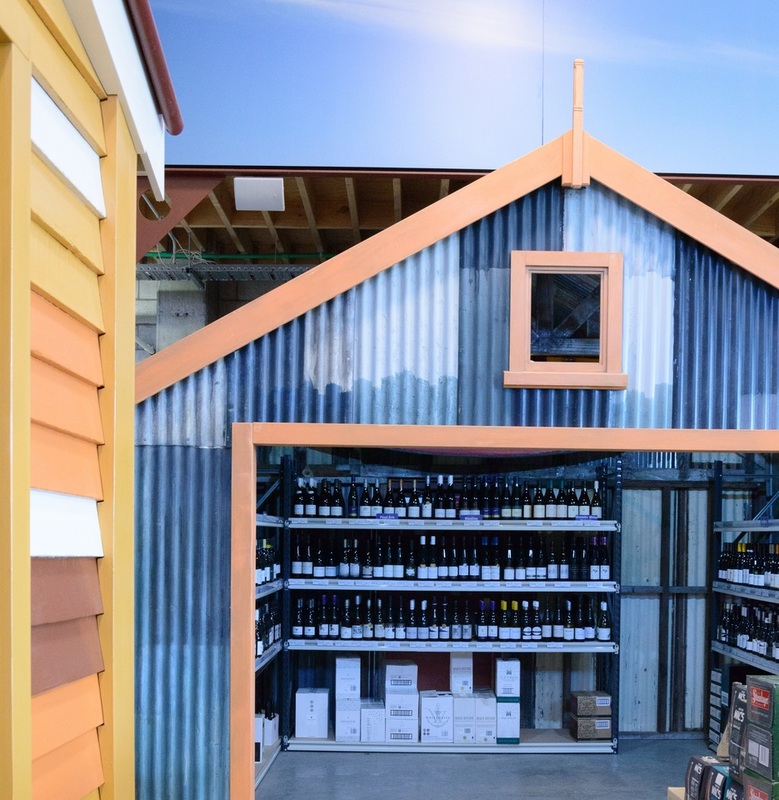 The boatsheds were constructed using hand-joined recycled timber in our workshops, painted with Resene paints, and installed on-site. A point of sale counter styled as a vintage 1920's launch, was designed with detailed research in mind, and constructed using aspects of traditional joinery, boat building techniques, and digital fabrication techniques. In the background, a custom timber facade was digitally fabricated to imitate vintage carpentry and architecture, and frames a range of antique marine imagery sourced from Porirua and New Zealand photo archives. 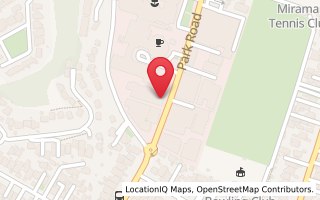 The retail space is now fully operational and can be located at Kenepuru Drive, Porirua, New Zealand. Autocad development, featuring the vintage yacht counter. The boatsheds in preliminary colourways. The retail space with elements in-situ, featuring the completed boat sheds and custom signage. The vintage launch counter, fabricated using traditional joinery and digital fabrication techniques. The custom wall facade also features in the background, complete with locally sourced antique marine photography. 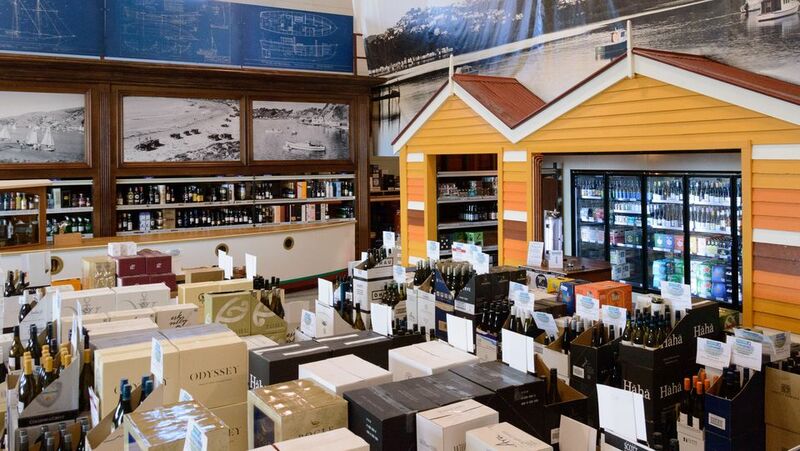 A boatshed full to the brim with selected wines.